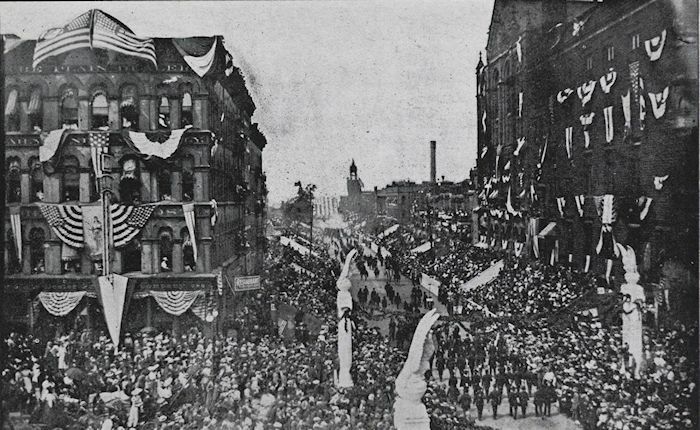 The 16th Ohio held at least 41 reunions between the years 1870 and 1916. Extensive documentation exists on most of these reunions, including transcriptions of meeting minutes and motions, attendance records, updates on soldiers that have died, speeches and poems given at the meeting, letters from members and friends of the Regiment who could not attend and photos of the veterans, their families, reunion sites and battlefield visits. Some of these items are very moving, giving accounts of battle action and other anecdotes from the Regiment's colorful past. 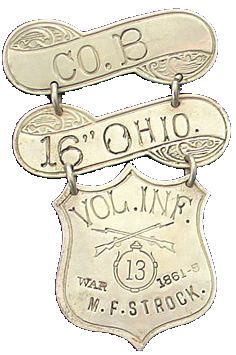 Several of the 16th Ohio's reunions were scheduled to coincide with the G. A. R. National Encampments. The G. A. R., or Grand Army of the Republic, was a huge, national Civil War veterans organization, which held national reunions in various cities all over the nation from 1866 until 1949. This organization also advocated for veterans' pensions and other legislation that favored benefits for the soldiers. Reunions that took place in conjunction with these G. A. R. events are noted as such in the index, below. 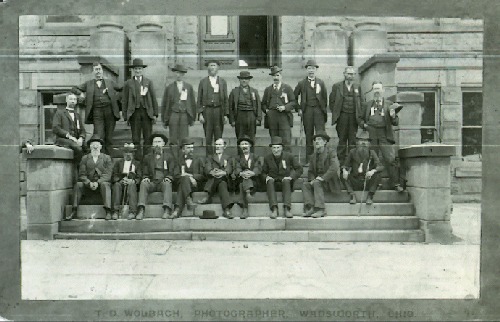 Some individual companies also held reunions, on occasion, usually near the town or within the county from where most of the men originated. Such reunions are included in the index listing, below, under the Company letter. 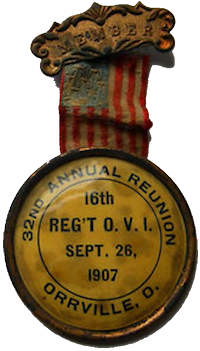 Many of the original resources for these reunions were provided by fellow 16th OVI descendant and website contributor H. Arlan Heiser of Ohio. Reunion proceedings are in the process of being transcribed and are available, below, as excerpts or in their entirety. All reunions will eventually be transcribed in their entirety as time permits. Most reunion proceedings contained a list of the soldiers who attended. These lists are being consolidated to a separate web page and will be presented when available.